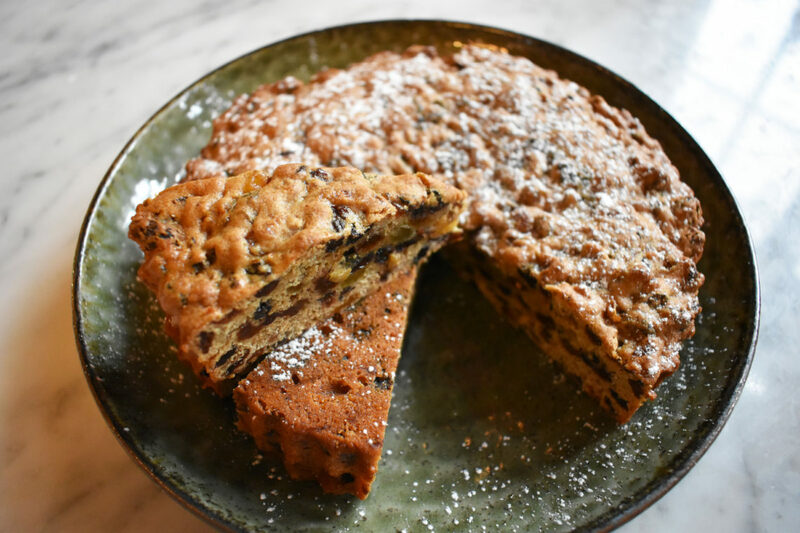 Fresh baking is always a welcome home and when you have leftover fruits to use from the Christmas pudding or cake recipe, this is an easy fix. 1. Soak the dried fruit in the hot tea over night with the zest. 2. Beat the egg until light and fluffy and then add a spoonful of flour and a spoonful of fruit until all the mixture is incorporated add the all spice. 3. Transfer to a 1kg lined loaf tin. Bake at gas mark 3/170°C for 1 hour, 30 minutes until cooked. 4. I always cover the cake half way through with a sheet of baking paper to stop it getting too dark.